Speed up your design process, build websites and apps faster and make the whole web/app developing process a lot easier with these beautiful wireframe sketches! A prototype, on the other hand, is dynamic. A prototype can represent a product to any degree of detail you might choose. Or any part or specific feature of an end project. A prototype can be virtually indistinguishable from a final design in terms of look and feel. But it is still only a simulation. 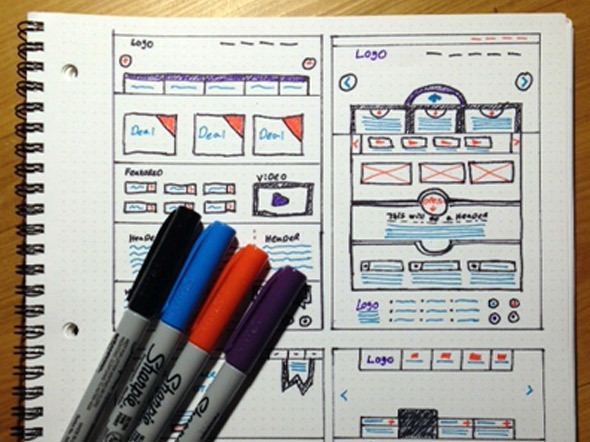 So, we selected here 23 helpful wireframe sketches web designers can use. These are not only for websites but can also be used for apps as well. 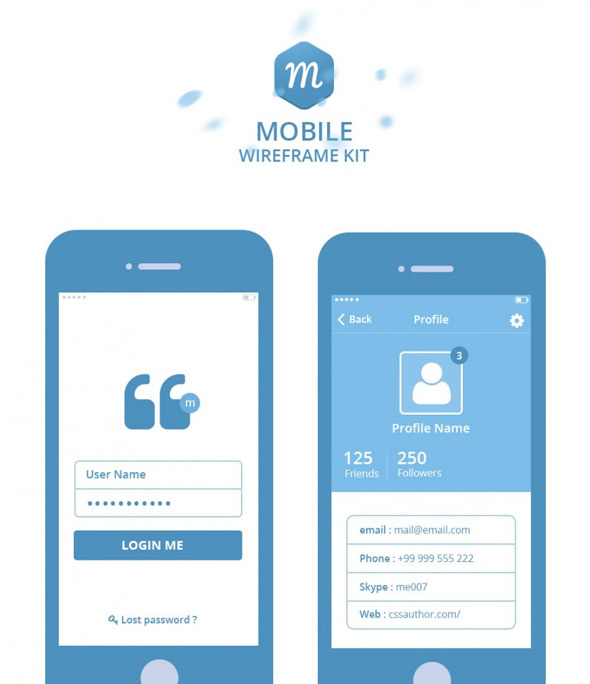 In this list, you will find both desktop and mobile wireframes which will help you effectively build your designs on them! These are both general and more specific wireframes. 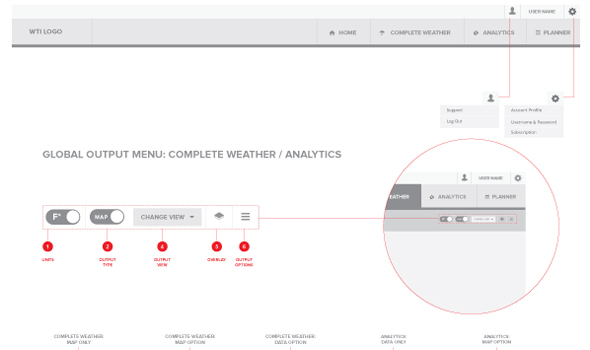 You will find some niche-oriented wireframes for entertainment and weather apps too in this showcase. Also, these great wireframe sketches can be used to show your clients some initial ideas before beginning the whole complex design process. Get inspired and create your own based on these examples. Designing your page layout is one of the most important aspects of web design and using a grid system is a popular approach in this case. 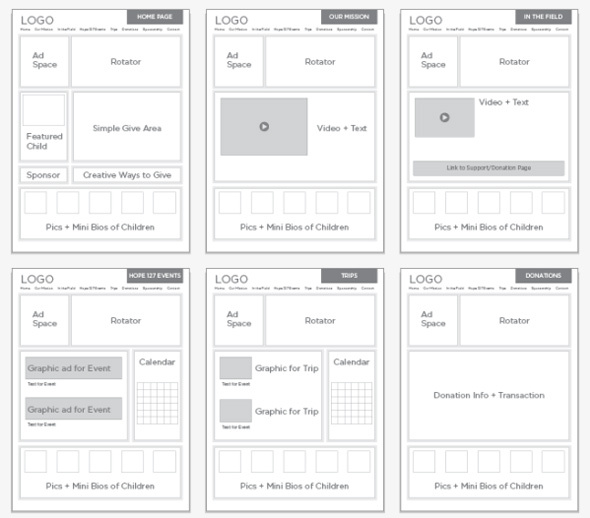 Grid systems are usually used during the wireframing stage of your design project. 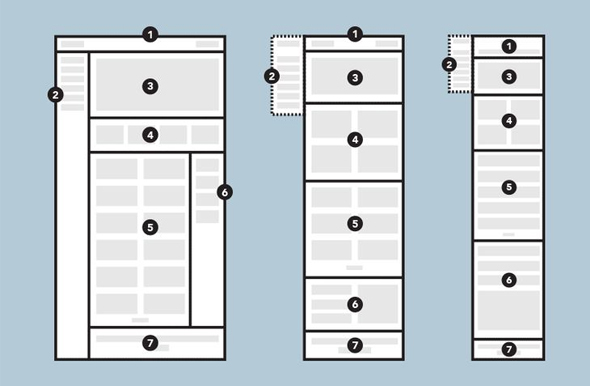 In this article, you’ll find plenty useful information in regards to how to effectively wireframe in the 970 grid system. This example is the result of a hard-working team who delivered a world-class user interface which was designed to match WTI’s ambition in regard to backends and complex data information. They’ve managed to turn information into the catalyst for delivering actionable date. The user came first in this team’s design approach. There are many and varied ways to increase the quality of a design. Some processes can be streamlined, avoiding errors or redundant processes can also help, and awareness of what is happening from a project’s start, through to its conclusion is also important. That’s why wireframing is such an important step! Here is a very helpful example of good wireframing. 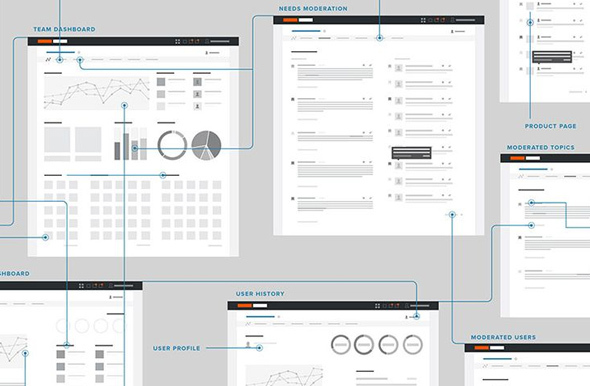 Check it out and see how many things you can learn from The Wheel of On Nom Wireframes. This is a really nice UI/UX wireframe which was specially designed for customers who are looking for custom solutions based on their needs and who have unique requirements in the e-commerce field. This is only a preview of the project, this wireframe has become now a default template for e-commerce websites. 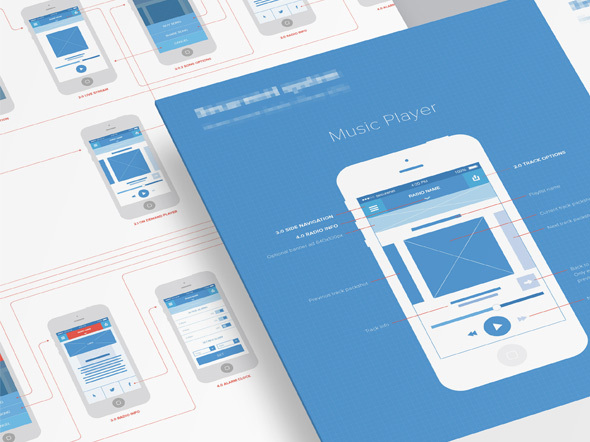 This is a really nice wireframing example which could help you a lot in the features. It is definitely well designed and crafted and it comes in PSD version so make sure to download it and have a closer look at it. Maybe it’s time to stop working harder, and start working smarter! Wireframing is the key! 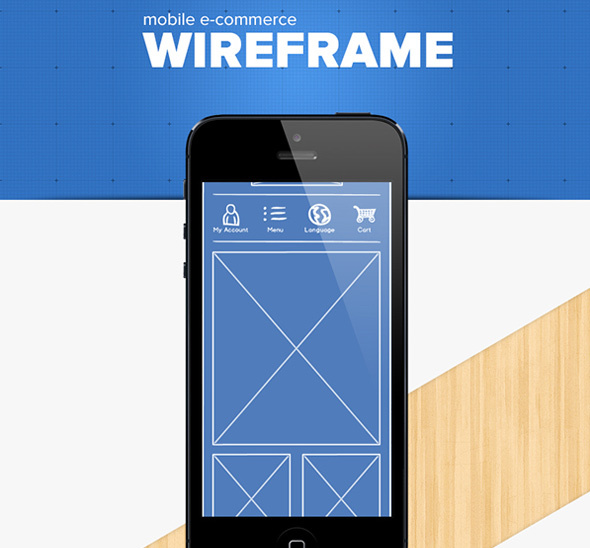 You might want to save this link as it contains various examples of wireframing. Have a look at them and get your inspiration. 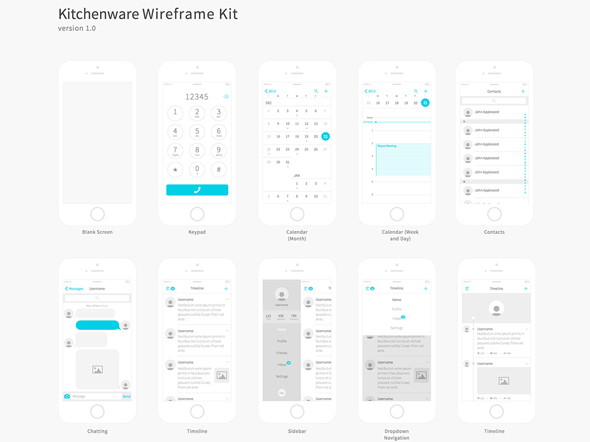 Kitchenware Pro is also a helpful wireframing kit you might want to keep close to you. It contains various examples and one of them, if not all, might be your next source of inspiration. 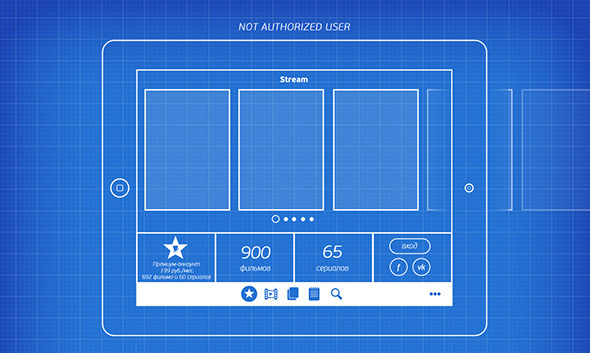 This is an app wireframe example that could be a great starting point for future awesome apps. It was specially designed to guide users in public transportation, by sending them a notification when the buss is about to arrive. 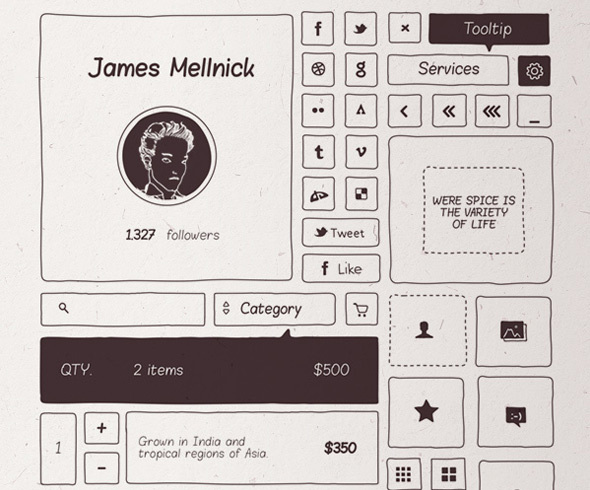 It’s got a minimalist interface and it is definitely an example worth following. 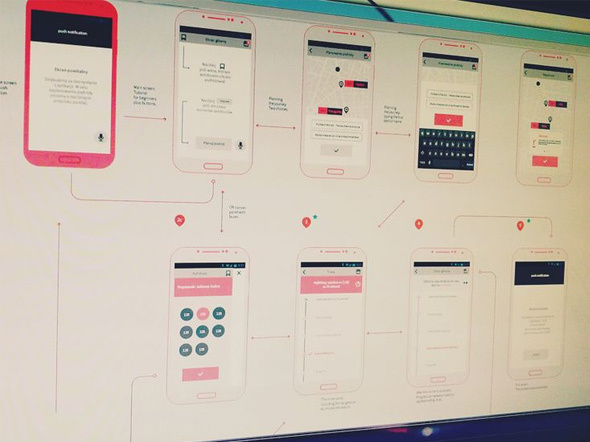 This is an overview of the UX flow which was specially designed for a radio streaming platform. This example is really nice and it could be a great starting point for future projects. 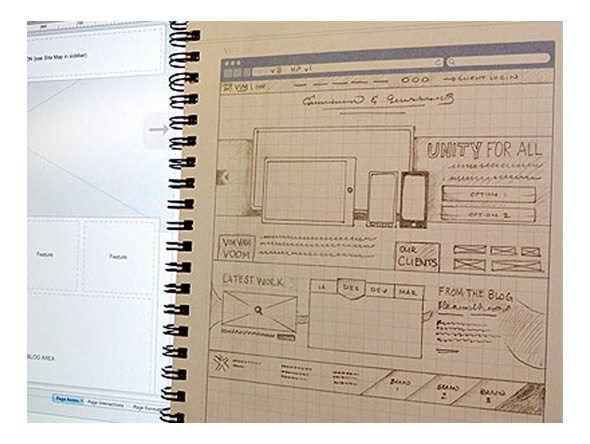 Have a look at designer’s wireframing project and his sketchbook and get inspired by the hard work that was put into it. This is a nice set of wireframing and UI examples in which you will definitely find your inspiration. This example is part of a project. 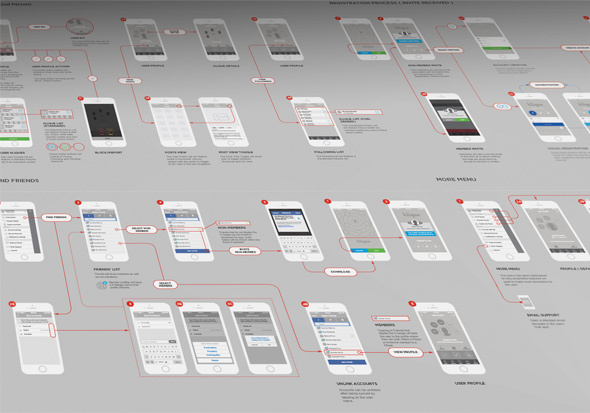 The designer was working on some iOS 8 updates and this is a preview from his wireframing process. 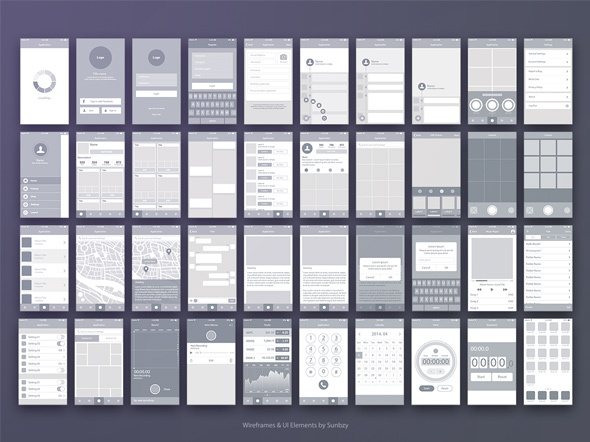 If you’re looking for some inspiration for one-page website wireframes then you’ve come to the right place. This site contains various examples. This is a really useful Movies app wireframing designed by Vladimir Vorobyev. It is done on a millimetric paper texture and it has a minimalist design. 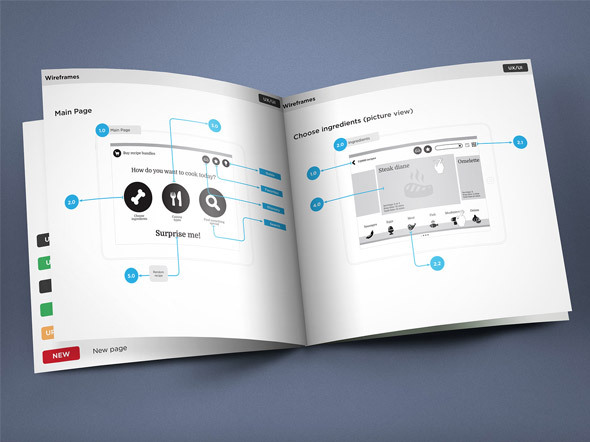 If you want to dig in into more designer’s sketchbooks check out this wireframing scheme and get your inspiration. This example is an interactive website’s homepage. 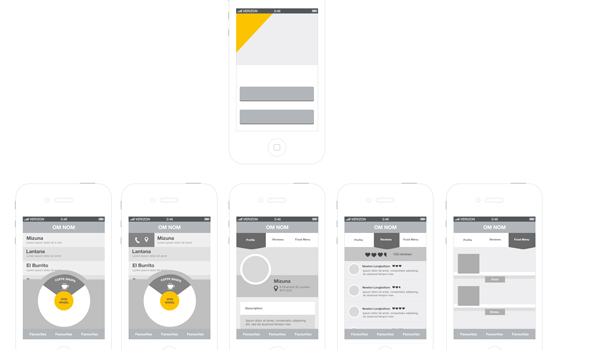 If you’re up for even more wireframing examples check out this one and the ones yet to come. This example is very detailed and it could be a great source of inspiration. 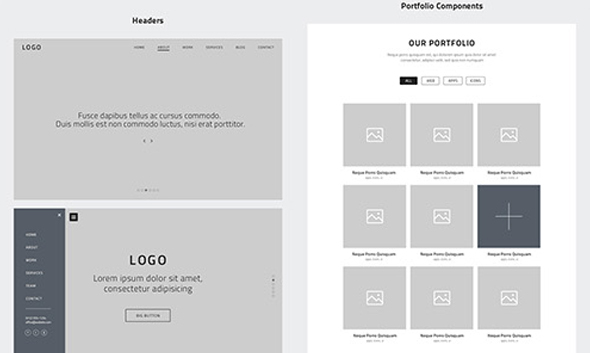 Evgeny Vasenev chose a really nice presentation format for his wireframing process, a brochure format. 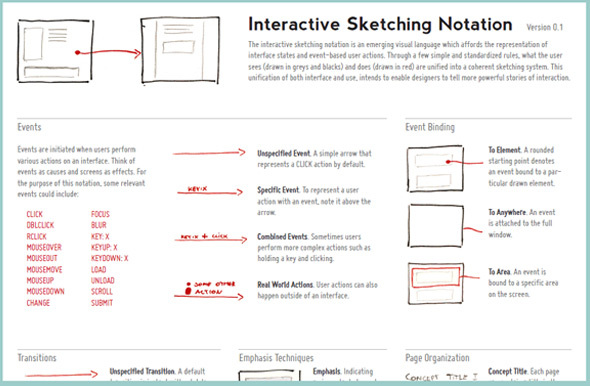 This example is part of an article about wireframing and interactive sketching notation. The idea behind this example is driven by a desire to visualize user interface states and actions in a clear and rapid manner. 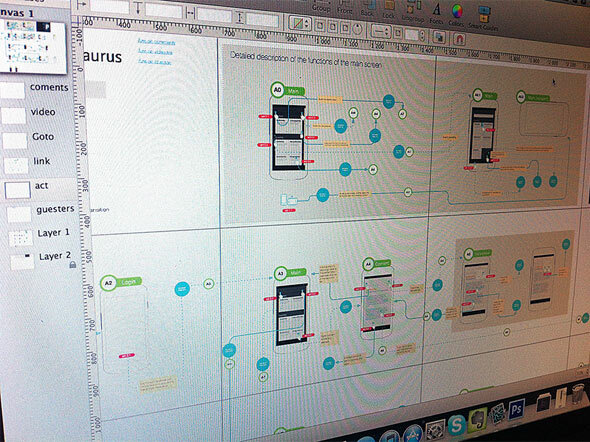 This is a clean illustration of Annotating Wireframes which you can use as a source of inspiration. This is a great starting point for future projects. This example contains some ideas for a moderation dashboard. Everything is very clear and highly detailed. This is a hand-drawn and designed UI Kit by Cloud Castle which might become your next source of inspiration. Have a look at a designer’s project. This example contains a hand-drawn layout concept in which you’ll definitely find your inspiration. 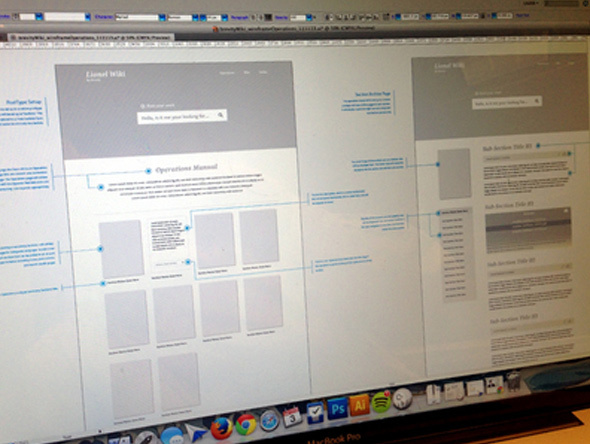 This is only a preview of a wireframing process which includes a layer for written documentation. 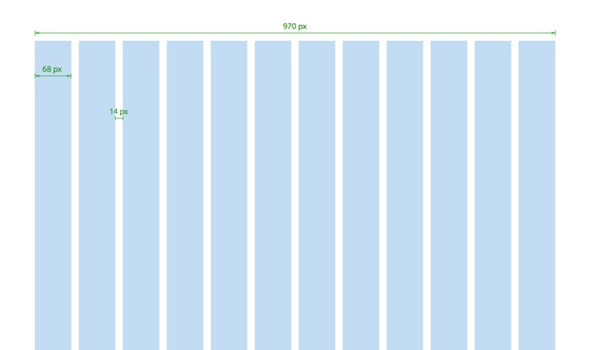 This example communicates the UX and UI intentions. 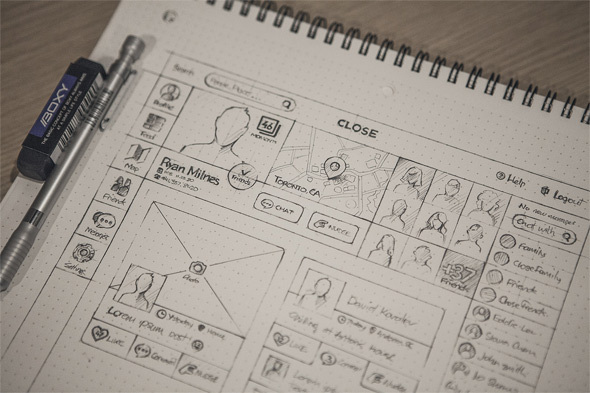 The post 23 Beautiful Wireframe Sketches for Web Designers appeared first on Line25.